Both my sister and I have passed first time with Naveed, thank you so much! Lessons are always very organised with a friendly approach. The LDC workbook also helps you to plan your lessons. 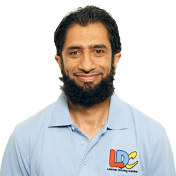 Naveed books the driving test so there is no hassle for the students and he is supportive throughout. A great instructor – would highly recommend! 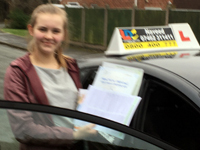 I'm a driving instructor in Burton upon Trent, Winshill, Branston, Stapenhill, Rolleston on Dove, Tutbury, Hatton, Hilton, Tatenhill, Anslow, Rangemore, Needwood, Draycott in Clay, Uttoxeter, Barton-under-Needwood, Walton on Trent, Alrewas, Lichfield, Tamworth, Willington, Egginton, Repton, Newton Solney, Bretby, Woodville, Chruch Gresley, Castle Gresley, Albert Village, Ashby-de-la-Zouch and surrounding areas.